Putting your business online magnifies your customer base into a potentially worldwide audience. This, in turn, should increase your sales and your profits. Today, while an overall business strategy is a must to start your online business, you can easily do away with the technology hassles by opting for a Content Management System. A Content Management System, or CMS, is a suite of applications or programs that lets you create and manage content that you want to put on the web. This content can include text, photos, videos, audio, shopping carts, games, comment boxes, interactive buttons, and programming code. The primary advantage of a CMS is the ease of use. By putting together components, such as text boxes and photo frames into a window, you can create functioning business websites that allow for shopping without having any programming or network background. The primary disadvantage is that you can only use what has been created for the CMS platform. If you have a new idea that you want to implement, you still need programming expertise. Because it is specifically designed for ecommerce development, Magento easily creates online stores for adding products quickly, driving marketing, comparing specs, offering discounts and coupons, generating reports, optimizing search engine results, and managing multiple stores. A large pool of themes is available to standardize your site. 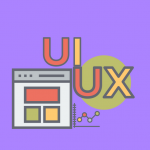 A theme is a general design that unifies the background, fonts, layout, headers, footers, and other elements. WordPress is primarily used for blogging, which makes it easy to create websites that focus on presenting text, photos, and multimedia. Not only does WordPress provide a user-friendly interface, its extensive user base provides a multitude of templates, themes, and third-party open source plug-ins such as the popular WooCommerce platform. Ease-of-use: By using pre-built themes, answering questions, and choosing options, you can easily customize either platform to create the website you need. Open-source platforms: If their current functions don’t meet your need, you can freely extend them with some coding. Versions: Their free versions let you try them out before moving up to a more feature-rich paid version. Over 20.5 million active sites use WordPress, which represents a market share of almost 60%. These statistics rank WordPress as first among the top 10 CMS platforms. Over 31% of the top one million sites use this platform, including The New York Times, Forbes, and Sony Music. With a market share of 1.5%, or 501,036 sites, Magento ranks fifth among CMS platforms with almost 1.9% of the top one million sites. Companies that use Magento for their pages include Rite Aid, Vizio, and Ford. After installing WordPress, you can either build or choose a theme, which can consist of several templates and style sheets. You can customize this theme as you go. You then add plugins and widgets to define interactive features like signups, subscriptions, slideshows, catalogs, and ecommerce. Finally, you fill these placeholders with actual content, such as the blog posts, item descriptions, and prices. After installing Magento, you also choose a theme that you can customize. But unlike WordPress, the ecommerce functionality is already built into this platform, so you can open the Products page to add product information that includes text, images, and prices. You can then set up payment and shipping options. Whichever platform you choose, testing is necessary on various browsers and devices, such as desktops and smartphones, to ensure that your site is usable by all your customers. To judge the effectiveness of your website, you use the same KPIs no matter what technology is used to develop it. This includes number of unique visitors, time on the site, page views, total visits, and page view per visit. Cost of Customer Acquisition: How much you have spent on online marketing to get each customer, which is essentially the amount you spent on marketing initiatives such as paid online ads, divided by the number of customers you have generated in that period. This indicates the value you are generating with your marketing spend per customer. Conversion Rate of a Channel/Campaign: What percentage of visits to your website have converted into potential leads, which covers goals such as completing sign-up forms, viewing a certain number of pages, or adding to a shopping cart. You divide the number of conversions by the number of visits to get the conversion rate. Optimizing conversions helps in lowering your costs of acquisition. Shopping Cart Abandonment Rate: Number of visits where a user has added items to a shopping cart but did not continue with check out, divided by the total number of shopping carts created or transactions completed. Average Order Value: It is the ratio of the total sales to the total number of orders. Magento has built-in analytics and reporting facilities to reveal these metrics and suggest optimizations to improve them. However, third-party extensions, such as Advanced Reports for Magento 1 might be necessary for the most effective reporting. There are third-party plug-ins available for WordPress as well that report the same. 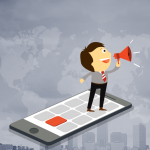 These include JetPack, Google Analyticator, and Woo-KPI Dashboard. WordPress makes it easy to set up a website that’s primarily informative, such as a blog, with a small store. You can typically create a robust site on your own. However, its popularity and its extensive connections to third parties make it vulnerable to hacking attempts, which may require third-party solutions to counteract. Since Magento is pre-built for ecommerce transactions, it is more secure and robust. You don’t need many third-party extensions to sell products. It’s not quite as flexible for anything other than ecommerce but can handle lots of products more easily. The platform also requires a bigger learning curve, which means a bigger investment of time and money. Extensive knowledge or a development team may be needed for your online store to work effectively. Website development is more simplified in WordPress with a few mouse-clicks. While in Magento, some coding is almost necessary. For example, in WordPress, to set up different CMS page templates, you create a new template file. In Magento, you need to code a new module that updates the list of templates that it can use. In addition to this, WordPress confines coding to a set of sequenced PHP scripts and puts a theme in just one folder. However, as Magento is object-oriented, it spreads code across numerous files inside a single theme directory. A series of nested folders are needed that may refer to each other. For websites whose main purpose is not selling or where you only sell a few items, WordPress has the greater ROI because of its ease of use and wide range of themes and plug-ins available at little to no cost. For websites that are devoted to sales, particularly if the store is anticipating a lot of transactions at one time with more products involved, Magento may have the better ROI even factoring longer and more expensive development. If you want to add more products as your business grows, you can rely on your existing pre-developed pages. The platform you choose depends very much on the type of online presence you hope to have. Will your website focus primarily on attracting customers slowly through ever-changing content, such as a blog? Are you offering less than 20 products? Are you content with choosing a design from pre-existing templates? Then, WordPress is the CMS platform for you. 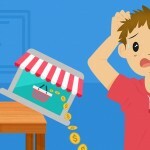 Does your website focus on sales? Will you have a catalog of hundreds of products? Are you offering a marketplace with multiple vendors? Will you be dealing with heavy traffic that includes plenty of selling as soon you launch your site? Then hire skilled Magento developers to launch your venture. If yours is like most businesses, your website will need to serve multiple functions. It must attract customers, inform them about your business, deal with their concerns, and sell products and services. There’s no reason to stick with just one CMS. A more flexible solution is to use both platforms. 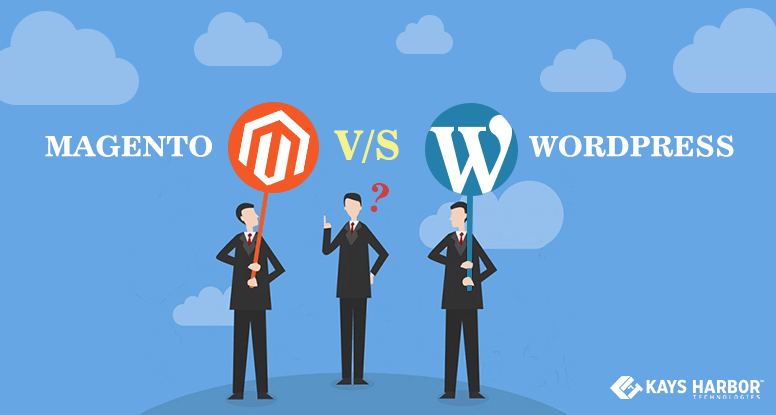 WordPress can handle the information and blogging aspects of your site while Magento takes ecommerce. You can then get the best of both worlds. As long as you stick with common themes and standards, and your focus on the satisfaction of your customers, they won’t know or care which platform they’re dealing with as they experience your business online.